The inspiration comes from the architecture of the Piazza San Marco in Venice. The square which has historically been named “the drawing room of Europe”. When the “Acqua Alta” phenomenon occurs, the square is flooded by the water of the Adriatic sea and an amazing scene takes place: the archways surrounding the square are reflected on the water surface, creating an impressive visual duplication by the architectural pattern of the arches. This scene has been captured in the San Marco chair, where functionality and ergonomics are integrated along with an architectural gesture from past time. 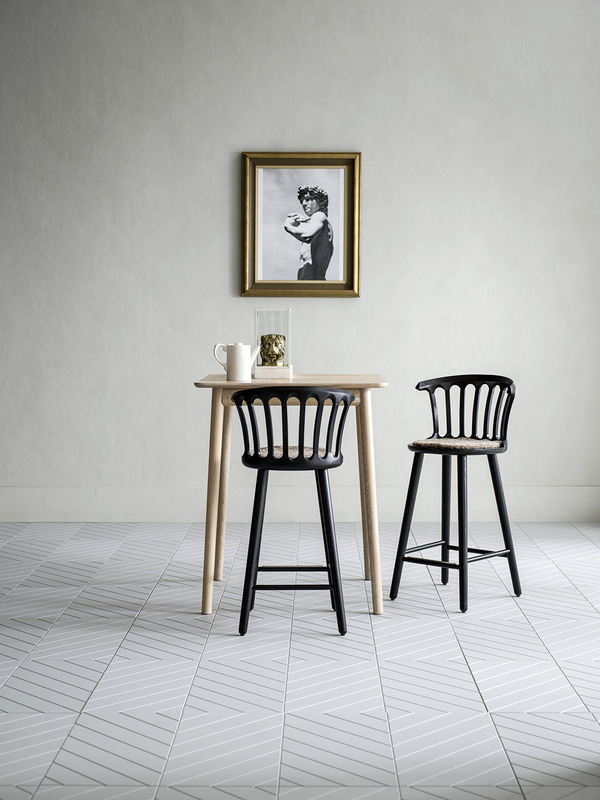 This solid wood chair has a backrest consisting of eight curved ribs that follow the shape of the back and is united on the edges by two rims. The ribs then consist of a series of arches that merges the back bracket down to the seat and, as a consequence, still coincides with the straight line on the top. 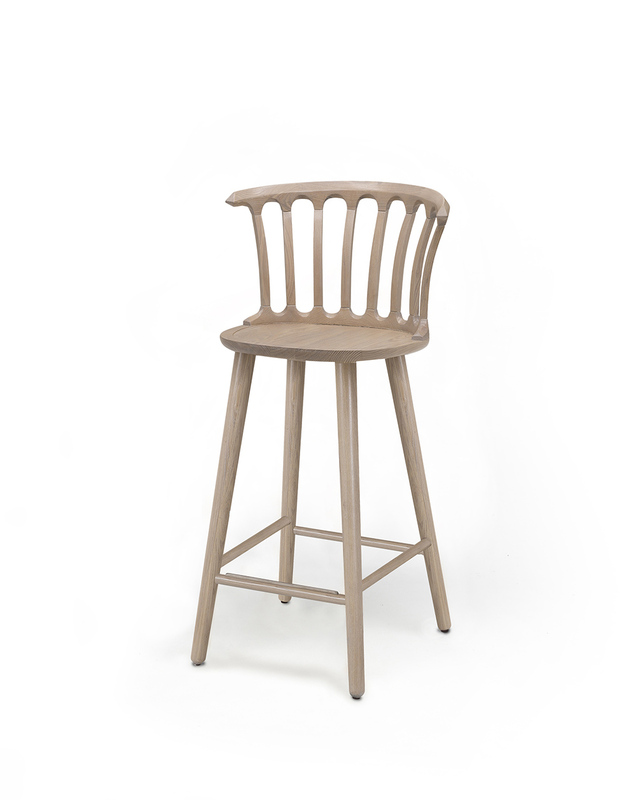 San Marco chair and bar stool are made of blond or black stained ash as well as gray stained or oiled oak. Cushions for the seat is available in leather and sheepskin. Three tables also comes to he chair in varying sizes. Its subtlety and elegance makes it suitable for both public and private environments.